Venezuela President Nicolas Maduro called on Saturday for parliamentary elections, a bid that could potentially sideline opposition leader Juan Guaido‘s challenge to his authority. Guaido is the parliament president but declared himself acting president of the country on January 23. The National Assembly head led a mass opposition street protest in Caracas on Saturday demanding Maduro resign and hold new presidential elections. But speaking at a rival pro-regime rally celebrating the 20th anniversary of the socialist revolution led by his predecessor Hugo Chavez, Maduro said he was in favor of a Constituent Assembly proposal to bring forward to this year parliamentary elections set for the end of 2020. “I agree and I will hold to this decision,” said Maduro, who was making his first public appearance in six months. “They (the opposition) want to bring forward elections, let’s have elections,” he said defiantly. Four major European nations — Britain, France, Germany and Spain — have said they will join the United States and several Latin American countries in recognizing Guaido as interim president if Maduro doesn’t call presidential elections by midnight on Sunday. The National Assembly is the only branch of government in opposition control. However, it has been powerless since 2016 when the regime-loyalist dominated Supreme Court stripped it of its powers. Maduro created the Constituent Assembly in 2017 to replace parliament, with the new body announcing itself the institution with supreme power in the country. When new parliamentary elections are held, the opposition could lose its majority. Backed by increasing international support, Guaido has been stepping up the pressure on Maduro in a bid to force him from office. 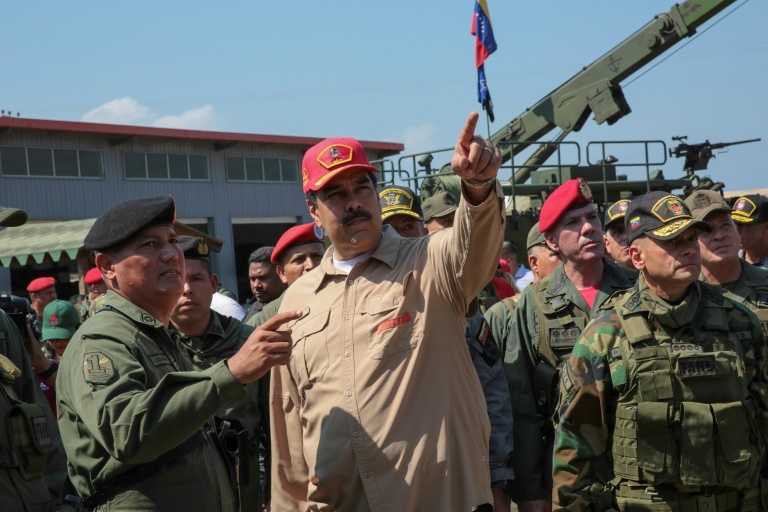 He claims to have the constitutional right to set up a transitional government ahead of new presidential elections as the National Assembly has declared Maduro a “usurper” over his controversial reelection last year. Several opposition leaders were unable to stand in that election having been jailed, exiled or barred, leading opposition parties to boycott. The U.S., European Union and Organization of America States all dismissed the election as fraudulent.